It’s very pretty. And obliging too, as it stayed still for so long to be filmed! I have never seen it here, so perhaps we don’t have them. I tried to get one closer shot but the butterfly was startled. A beautiful creature. Nature is so amazing. Agreed, something exciting in nature at every turn. Yoga for moths & butterflies…now there’s a new concept! Well, you’ve possibly heard of goat yoga with little baby goats. Butterflies would be more appealing to me. Such regal beauty. I don’t think we have these in New England, wish we did! I was surprised to read these are common across the US Eliza. They seem pretty rare here. Hope you had views of other splendid butterflies this year. An average year, though not as many fritillaries. Many more Monarchs than in recent years, which is heartening. They are incredible. I’ve spotted multiple ones again today so very exciting. Wonderful photo! If its range includes SoCal, I’ve never seen it. Butterflies in general are fewer here this year I’m sorry to say. Sorry to hear you’re seeing fewer butterflies. I’ve seen more than usual and more different types this year. Monarchs are around too now although I’ve yet to have my camera at the right moment. I don’t think I’ve ever seen one either. What a beauty. Amazing to think that pattern and those colors are all just hidden in some kind of genetic code, and they just happen! Yes, the whole life cycle is pretty interesting as well. You got some great shots. I don’t see buckeyes nearly as often as I’d like to. Thanks Tina. 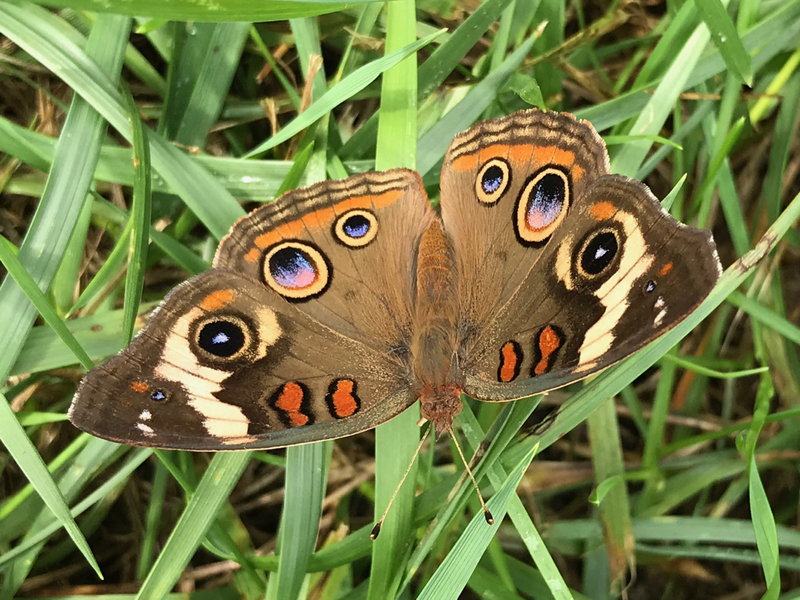 It was a treat to watch this buckeye and the next day spotted half a dozen among my asters. Fun. Lovely butterfly. I have a good deal of Ruellia humilis, which is supposed to be a host plant, but I haven’t seen one yet. 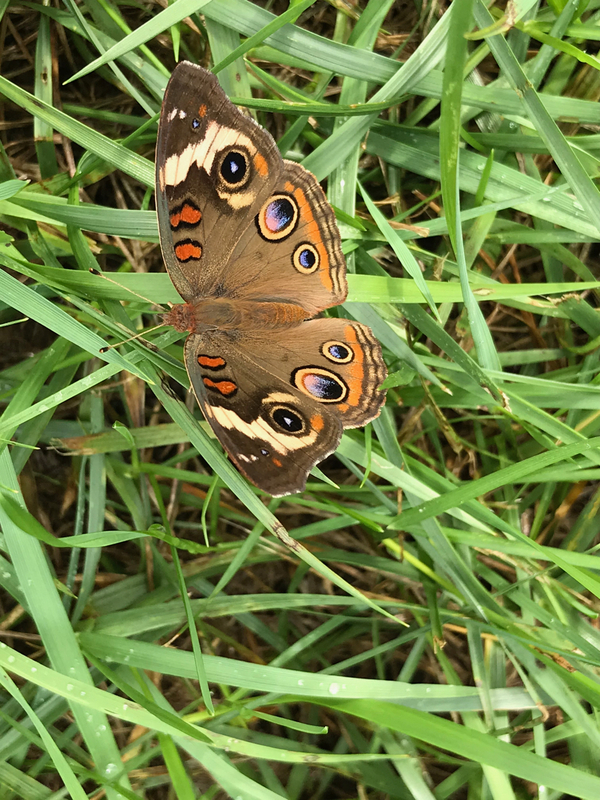 A beautiful butterfly, not one I have seen a picture of before. There is a Buckeye tree, do they have any connection?